Ahoy there! Welcome to our secret cove hideout where we’ve stashed all the best ski socks. You only get two feet in life and it makes a lot of sense to take care of them and keep ’em happy. Up on the mountain, downhill skiers and snowboarders feet are put through the gauntlet, you should probably try to outfit them in some trusty armor. Cold feet, cold toes, wet feet, sore feet, socks bunching up in ski and snowboard boots, you name it the shenanigans can get pretty bothersome after awhile. What do you need you ask? You need one of the finest pairs of socks designed for athletes. Luckily, you’ll find an assortment of the best socks for skiing on this very page. We’ll discuss what makes a pair of socks the best socks for skiing. We’ll look at the advanced fabric tech that goes into manufacturing these mean and hardy socks. You’ll also find a section about the different types of socks for skiing and snowboarding such as wool socks, heated socks, liner socks, padded soles, and padded calf socks. Then you may want to quickly look over the ski socks selection guide where we touch on the top things to look for. But before we go deep into the technical information on ski socks, let’s take a look at the best options for the 2018-2019 season! You found the treasure! The best socks for skiing and snowboarding are right at your fingertips. We update our pages on a regular basis, so you’re always viewing the freshest information and latest product selections. Keep in mind you can really extend the life of your new socks by turning them inside out and letting them dry by themselves. Handwash and hang dry will really help extend the life of quality ski socks as many premium materials do not let themselves well to the agitation of the washer and high heat of the dryer. If you aren’t sure on sizing bridgedale has a good page on general sizes of small through x-large sock fitting. Most leading brands have their most popular socks for both men and women ski socks. Anyway, here we’ve got a little for everyone: the best women’s ski socks, men’s ski socks, and kids ski socks. The Wigwam men’s snow sirocco performance ski socks are made in the USA out of premium materials for knee-high cushioning and comfort. With a blend of wool, nylon and polypropylene, you can expect a cozy fit that stretches to keep you protected all day long. At such a great price, these are the best socks for cold feet, hands down. The FoxRiver Bristol ultra-lightweight socks are a unique blend of polyester and nylon made in the USA. Featuring Thermolite, a tight fitting exclusive material, you can expect a comfortable and reinforced fit that melds perfectly to your foot and calf. The Browning children’s socks feature the perfect blend of merino wool for a warm and cozy fit. They’re heavyweight for cold weather and durability, and they feature arch support for long-lasting comfort throughout the winter days. The best value children’s ski socks on our list. The EURO Silver Supreme Ski Socks are a futuristic looking sock with an innovative design. The anti-bunching technology and tiered compression combine to make an overall great technical sock for performance junkies. These socks have just the right amount of shin padding to prevent blisters and bruising. Featuring EuroSock’s silver tech woven fabric, you can expect these unisex socks to offer incredible performance and cushioning for all your favorite winter sports. Made in Italy, these imported socks are great for those seeking a truly second-skin experience without breaking the bank. The Ski Supremes by Eurosocks offer a lot in one small package. The attractive design offers a comfortable and durable fit without sacrificing on performance. Proprietary Drystat and Microsupreme fibers provide ultimate protection and warmth to increase enjoyment and reduce the chance of risk or injury. The Burton Women’s ultralight wool socks are imported socks perfectly crafted for snowboarders. The lightweight and quick-drying fabric blend is oder-resistant and totally reinforced for protection and comfort. Dryride wicking toe panels combined with chafe-free reinforcements create a comfortable fit for daylong rides. The EuroSocks Women’s Snowdrops are guaranteed to keep your feet warm and dry on the slopes. With a blend of drystat, microsupreme, nylon and more, you’re getting a uniquely blended formula of fabrics for an unbeatable fit. Plus, the dynamic cushioning technology offers protection and a major performance boost. It is hard to go wrong with a 75% merino wool socks. These are extremely soft socks that have some light conditioning strategically placed while the rest is thin for a robust athletic form fitting sock. A full leg, graduated compression sock that is lightweight 15-20 mmHg. Bridgedale offers a nylon, merino wool, and lycra composition that is arguably the best socks for skiing for the price. The Hot Chilly’s Women Premier winter socks offer total comfort and warmth for women of all ages. The polyester socks are uniquely engineered to be worn with boots, and feature MTF cushioning, arch support, and breathable air channels. Plus, antimicrobial fibers offer an additional layer of comfort and safety for a cozy and durable fit. SmartWool makes some of the best wool socks on the market. This particular model is one of the best merino wool socks and has a medium cushioned shin and sole with an over the calf height. Mesh ventilation zones help feet breath and provides top rate moisture management. These socks are one of the few pairs that actually are backed by an unconditional lifetime guarantee. If you’re looking for a thick pair of performance socks, these are about the best in durability you can get. You’ll find a lot of Darn Tough Socks reviews because they are one of the top brands for hiking, expedition, and snow sports footwear. The Falke SK2 Stockings are some of the more expensive socks on our list- for a reason. They feature the perfect balance of comfort options from moderate cushioning to a unique blend of materials and colors. Plus, enmeshed merino wool offers great moisture wicking and insulation. Perhaps the most unique socks on our list, the Lenz Products Unisex winter socks combine a blend of materials, as well as a lithium ion battery that heats the socks for unrivaled comfort. Comes with a bluetooth remote control that lets you operate the heating feature via your smartphone or tablet, and works for up to 14 hours- plenty of time to enjoy the slopes! A unique offering by Lenz. On the mountain and in cold weather conditions, comfort is key. Newcomers to the mountain quickly learn that comfortable and functional gear goes a long way in having an enjoyable experience. Finding the perfect balance between warmth and breathability isn’t easy though. Fortunately, unlike most snowboarding and skiing gear, socks are pretty inexpensive which makes trial and error feasible. Sure, it’d be great to land on the right pair the first time around but that’s not always the case. Try experimenting with a few different pairs and look to discover the right sock that keeps your feet warm and dry in specific weather conditions. Once you get your gear dialed in and you are comfortable, skiing or snowboarding nirvana becomes attainable. A worthy pursuit indeed! Your most important piece of gear? Ski boots of course! Though most people would respond their most important part of their kits are their ski boots/skis and snowboarding boots/board, make no mistake: ill fitting ski socks can be a tremendous pain in the you know what. They are the most commonly overlooked part of peoples’ kit. The best skiing socks can make a big difference. Construction materials are the most significant factor in deciding how a sock will feel and perform. Organic fibers like wool and silk have excellent warmth to weight ratios but do not wick away moisture as well as synthetics like Lycra and nylon. Synthetics are also highly elastic which helps stay tight and form fitting even during grueling runs downhill. Some socks use innovative combinations of different materials in an attempt to strike the right balance for the demanding tasks snowboarders and skiers put their socks through. The current top dog in outdoor sock material is merino wool and is commonly seen in most of the leading models. It repels odor well, is soft and comfortable (unlike conventional wool), and offers the ideal cushioning and support. There are many factors contributing to why it may be a good idea to experiment with a few pairs of socks for skiing. One of the leading reasons is that everyone’s body and feet are different. Some people have bony feet, some people have big boned feet. Afflictions like bunions likewise play into the matter. Then you’ve got snowboarding boots and skiing boots. 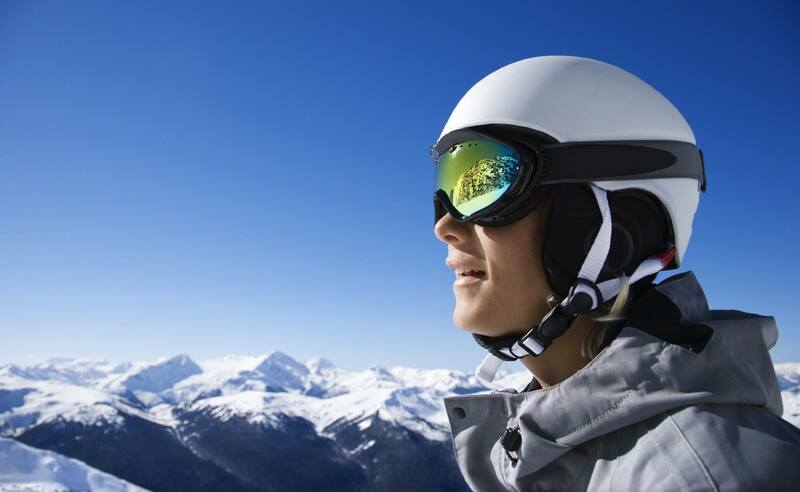 Skiing boots are constructed of plastic and tend to be tighter and stiff, therefore much less flexible and forgiving. 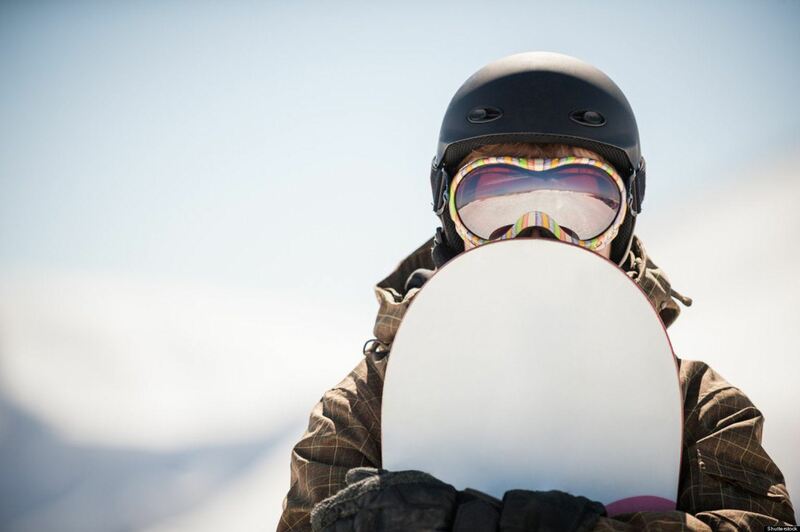 Snowboarding boots on the other hand are usually softer, made from composites, fabrics, and materials like leather. For this reason, sometimes skiers will purchase socks with shin padding to prevent the tight plastic boots from digging into their skin during sharp cuts and turns. Another cause of woe is poor circulation which can become particularly troublesome in the cold conditions at the mountain. In this case, it makes a lot of sense to get some burly wool socks or maybe even invest in a pair of heated socks. Though ski socks are more expensive than a pair of regular socks, you can still easily find a solid pair for under $20. The ski socks category come in varying thicknesses from ultralight to extra thick. Though most people automatically go for the super thick wool socks, ultralight models perform very well nowadays and are able to fit in extra tight, high performance ski boots. Athletes who are bent on achieving optimal performance may want ultralight socks which help wick away moisture from perspiration and dry quickly. Some skiing and snowboarding socks have extra padding in strategically placed zones such as the front shin, making leaning into your boots more comfortable. Here are the broad categories of ski and snow socks to help you decide which type you may want to purchase and take out for a few spins. Is there a difference between snowboard socks and ski socks? Most ski socks will double as excellent snowboarding socks and vice versa. Both sports are grueling and socks in these categories are designed and tested for quality and performance. Modern ski socks have slowly gotten thinner over the years. This is mostly attributed to improved boot liners that have become extremely comfortable. You no longer need super thick socks for your feet and legs to stay comfortable in the best ski boots. Lightweight socks have become the new norm and typically utilizes some percentage of merino wool in the construction, though there are models that use purely synthetics such as the EURO Socks Silver Ski Light. These socks range from medium thickness down to ultra-thin liner type socks. Ofttimes these will reach above the calf or even to the knee. Much like compression wear worn by athletes in a wide number of sports and weight training, these types of socks are very form fitting. Compression ski socks are usually constructed using liberal amounts of nylon for an ultra tight fit. If you suffer from cold feet or toes some of the higher end models have graduated compression technology. This makes the sock squeeze critical muscles in the lower leg and foot to promote blood flow to help you keep your feet warm. The main thing you sacrifice with compression socks is the softer feel that is a staple of socks with more merino wool intensive builds. Individuals who are chronically plagued by cold feet due to poor circulation or other ailments may want to dish out for heated socks. It can be difficult to enjoy a day on the slopes when your feet feel like blocks of ice. These socks can get up well over $100, but they are pretty cool. Like a hand warmer a quarterback would use during extremely cold temps, these socks are battery powered and offer a persistent heat source while still sporting a performance fit. These generally can be controlled through a smart phone app to raise, lower, or turn off the heat. Much like ski socks, mountaineering socks fit snugly and wick away moisture. Most of these socks reach mid calf and some are slightly taller. These are extremely burly socks that are built for extremely cold temperatures. They are generally pretty thick to help prevent blisters and for increased durability. Usually skiers will only incorporate these into their kit if they are doing alpine tours or hiking in the backcountry. Here is an overview of the most important features of ski and snowboarding socks. Fit & Comfort: Stretch, mobility, and thickness are important factors here. Any excess material bunching up can lead to blisters and hot spots. You’ll find out exactly how a sock feels after trying it on, but to really see how it holds up you need to put it through a few intense runs. Compression socks will also have a big impact in the fit and feel department. Materials: Wool, synthetics, and nylon are three of the common groupings of materials you will see used in making ski socks. Sometimes a sock will use a combination of a bunch of materials to get just the right composition. For the technical side of ski sock materials visit ski.com’s ski sock guide. Weight: The three most popular categories for ski socks are ultralight, lightweight, and mid-weight. Ventilation: Just like with jackets and snow pants, breathability is a big factor in keeping your feet comfortable. Just like your feet can get wet from snow getting in, you feet can likewise get wet from getting too hot and sweaty. Warmth: Intuitively, the thicker models of ski socks prove to be the warmest ski socks in tests. The SmartWool PHD Ski Medium Sock proved to be one of the warmest socks tested by skiers built with plenty of merino wool. Shin Padding: Not to be confused with thickness and cushioning under the feet, shin padding is a durable guard against wear and tear on the shins. Padded ski socks are an extra layer of defense This helps prevent those red lines that usually start cropping up after a heavy day of skiing. Compression: Following the trends in performance wear, ski sock brands have started offering many compression type sock models. The main goal of these socks is to help improve blood flow to facilitate warmth and perhaps even help reduce muscle fatigue.